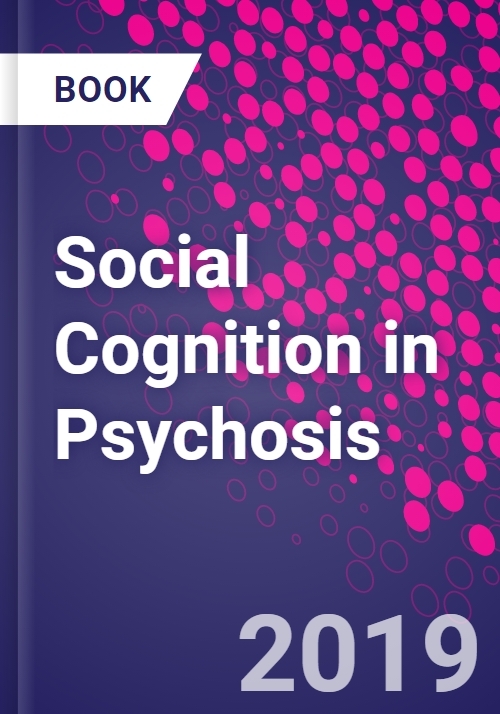 Social Cognition in Psychosis combines current research on phenotypes, neurobiology, and existing evidence on the assessment and treatment of various forms of psychoses. The book presents various treatment options, including assessment approaches, tools and training methods that aid in the rehabilitation of patients with psychotic disorders. Social cognition is a set of psychological processes related to understanding, recognizing, processing and appropriately using social stimuli in one's environment. Individuals with psychotic disorders consistently exhibit impairments in social cognition. As a result, social cognition has been an important target for intervention, with recent efforts trying to enhance early recovery among individuals with psychotic disorders. Dr. Eve Lewandowski is an assistant professor in Psychiatry at Harvard Medical School and Director of Clinical Programming for McLean OnTrack first episode clinic. Eve received her PhD in clinical psychology from the University of North Carolina, Greensboro, where she studied cognitive, behavioral, and genetic markers of schizotypy. She completed her postdoctoral fellowship at McLean Hospital/Harvard Medical School prior to joining the faculty. Her program of research centers on cognition and cognitive interventions for people with psychotic disorders. Her federally-funded research has included efficacy and neurobiological outcomes of cognitive remediation in bipolar disorder, computational approaches to characterizing heterogeneity in cognition across the psychoses, and examination of the latent structure of motivation and reward. She is currently conducting implementation work to translate cognitive remediation into clinical practice, for which she was awarded the 2018 Connie Lieber Science to Practice Award. Eve serves as the Director of the Psychology Doctoral Internship Program Psychotic Disorders training, and provides supervision, training, and mentorship to junior faculty, fellows, residents, and interns. Dr. Ahmed Moustafa is an associate professor in Cognitive and Behavioural Neuroscience at Marcs Institute for Brain, Behaviour, and Development & School of Social Sciences and Psychology, Western Sydney University. Ahmed is trained in computer science, psychology, neuroscience, and cognitive science. His early training took place at Cairo University in mathematics and computer science. Before joining Western Sydney University as a lab director, Ahmed spent 11 years in America studying psychology and neuroscience. Ahmed conducts research on computational and neuropsychological studies of addiction, schizophrenia, Parkinson's disease, PTSD, and depression. He has published over 150 papers in high-ranking journals including Science, PNAS, Journal of Neuroscience, Brain, Neuroscience and Biobehavioral Reviews, Nature (Parkinson's disease), Neuron, among others. Ahmed has recently published two books: (a) Computational models of brain and behavior, which provides a comprehensive overview of recent advances in the field of computational neuroscience, and (b) Computational Neuroscience Models of the Basal Ganglia, which provides several models of the basal ganglia.